Real Estate Social Science, Sociology, Ethics, etc. This project is about Bengali & Hindi Videos translation to English. There was almost a few hours videos of a TV program. a) We are giving affidavit by declaring that, we are the citizen of Bangladesh. To format a memory card, insert the memory card into the camera, press the H button and select Format card from the setup menu. If daylight saving time is in effect, press Ok to enable the daylight saving time function while setting the region in step 3. When the daylight saving time function is enabled, Show is displayed at the top of the monitor. The camera enters playback mode, and the last picture taken is displayed in full-frame playback mode. The Next Generation Network Services II campaign provides you with sales enablement and demand-generation resources to help you start new customer conversations; promote migration and upsell to the newest Cisco switches and wireless solutions; and address competitive threats with solutions, services, and financing to help customers successfully move to the next generation of technologies. Experience Years of translation experience: 14. Registered at ProZ.com: May 2009. Became a member: May 2015. Questions you have always wanted to ask one-day recruitment opportunities! SDL Trados Studio 2015 is here! - Join SDL to learn all you need to know about the latest version of this world leading CAT tool. Professional practices Md. Tanjimul Islam Jiban endorses ProZ.com's Professional Guidelines. 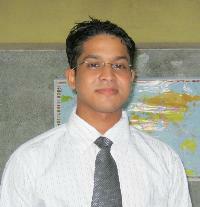 I am an English to Bengali and Bengali to English translator with more than 10 years of experience in this field. I obtained my MA in Development Studies from Khulna University of Bangladesh, and I has a BSc in Urban and Rural Planning from the same university. Translation, Editing/proofreading, Website localization, Software localization, Voiceover (dubbing), Subtitling, MT post-editing, Transcription, Interpreting, Training, Desktop publishing, Project management, Copywriting, Market Research, Focus Group Discussion (FGD), Central Location Tests (CLT), Web development. I can use almost all non-Unicode and Unicode Bengali and English fonts. I am good at using several CAT tools like SDL Trados, memoQ, Across, OmegaT etc. I charge competitive rates. Rates are negotiable depending on the nature and urgency of the project. My daily normal output is 4,000 words (source) and daily emergency output is 6,000 (source). I have worked with different NGOs in Bangladesh. I have also worked with two international Organizations: OxfamGB and MuslimAid-UK. I have translated & localized many training materials, books, brochures, guidelines, leaflets and legal documents, websites, software, games, apps, videos, animation movies etc. I am working on a regular basis for some world-class translating agencies located all over the world. Please contact me for any further information or for a free quote.